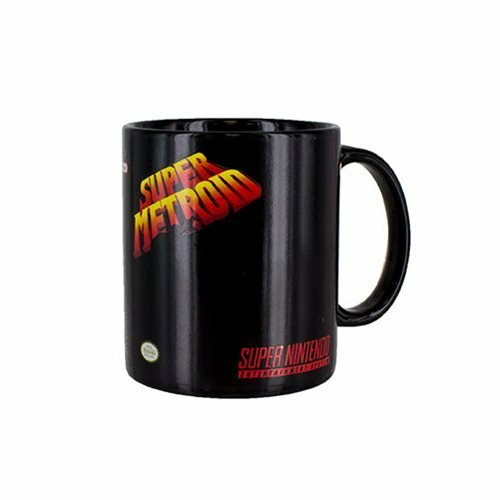 Hit pause and take a break from adventures in far off planets at the end of the universe and enjoy a drink in this stylish Super Nintendo SNES Super Metroid Heat Change Mug. 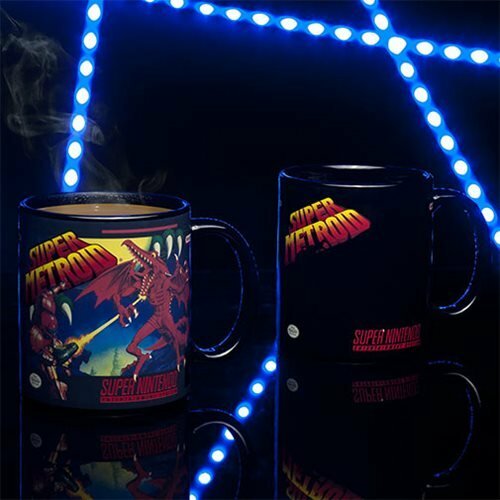 Pour in your favorite hot beverage and the heat changing decal comes into effect displaying the classic retro packaging that the iconic Super Metroid video game came in. 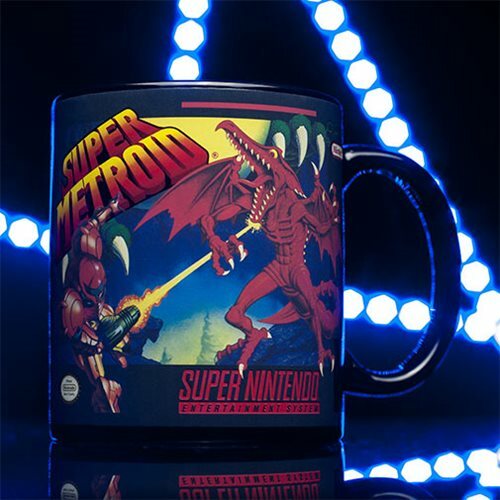 A wonderful gift for anyone who played Super Metroid in the golden era of the SNES. 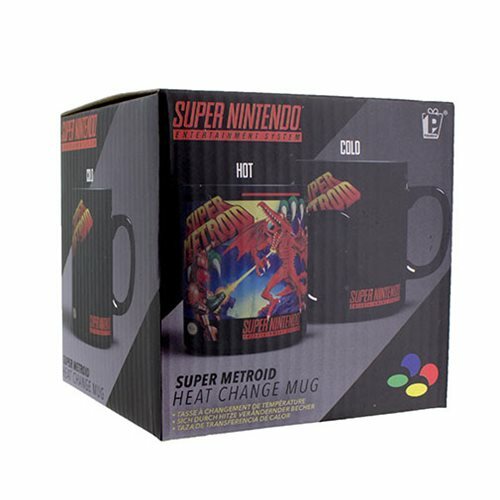 The Super Nintendo SNES Super Metroid Heat Change Mug is also perfect for lovers of retro gaming or just video games in general. Do not microwave. Hand wash only. Not dishwasher safe.